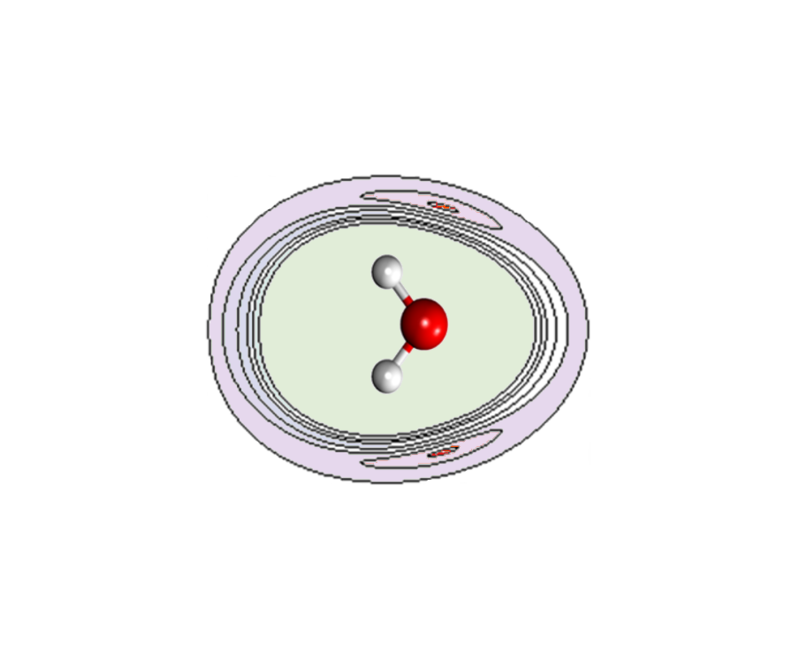 Oxygen is the simplest diatomic molecule having two unpaired electrons (electronic spin S=1) in their ground electronic state and for this reason it constitutes a physical object of considerable fundamental and applied interest in all its phases. Our general aim is the accurate characterization of the forces among oxygen molecules. Within the Born-Oppenheimer (BO) approximation, the equations of motion for the electrons of the system is first solved for every position of the nuclei and this process sets up a Potential Energy Surface (PES). We have obtained, for the first time, a global PES for the oxygen dimer based on high level electronic structure calculations. This is a valuable starting point for a variety of studies since the same PES governs the motion of the nuclei in a range of different conditions (bound and continuum states), and furthermore, because the PES can be also used to study systems with many molecules under the assumption of pair-wise additivity of the interaction. We studied rotational energy transfer in O2+O2 collisions in collaboration with the Laboratory of Molecular Fluid Dynamics (IEM-CSIC). Our quantum mechanical calculations of the state-to-state rate coefficients at low temperatures (20 K ) were tested against precise Raman measurements of the evolution of the rotational populations along a supersonic jet, and an experimental validation of the calculations (within 10%) was achieved. The same intermolecular interaction was used to compute collisions at much lower temperatures (mK) , concluding that Bose-Einstein condensation of this molecular species is really challenging. We are investigating the onset of many body interactions in small O2 clusters, where pair-wise additivity breaks. We have recently focused in,since it has been recently shown that this is the unit of the high pressure e phase. Impressive phenomena at the transition to this phase, such as magnetic collapse and color change, have opened the question about the nature of the intermolecular interactions within this cluster. We carried out the first high level multiconfigurational ab initio calculations of the singlet state of the cluster. Significant many-body interactions at very short cluster sizes were found, indicating incipient chemical bonding. We have shown that these findings are consistent with various observations, for instance, the observed intra- and intercluster distances as a function of pressure (see Figure). Finally, we also work on semiempirical models for the interactions between larger molecules, or molecules and extended systems, where ab initio methods become too demanding. 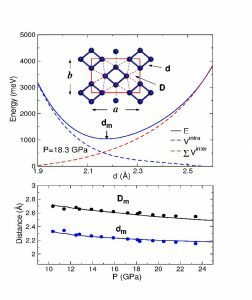 We are developing a method based in the bond-bond additivity of the van der Waals component of the interaction, with applications to the interactions between molecules and graphene-like systems. M. Bartolomei et al , J. Chem. Phys. 133, 124311 (2010). J. Pérez-Ríos et al , J. Chem. Phys. 134, 174307 (2011). J. Pérez-Ríos et al , J. Chem. Phys. 134, 124310 (2011). M. Bartolomei., Phys. Rev. B 84, 092105 (2011).